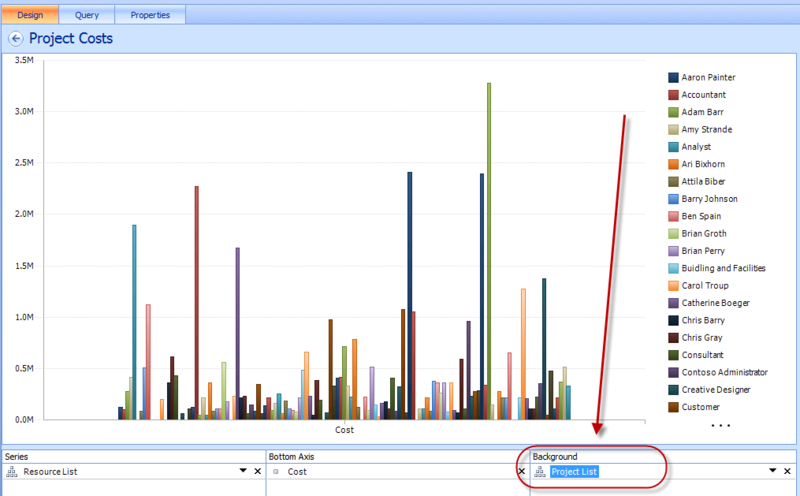 Just a quick add on to yesterday’s post on leveraging InfoPath to create automatically filtered PerformancePoint reports on PDPs. I figured that I’d extend the same approach to the workspace. For the workspace, we can simply pull the URL of the workspace, then map it to the ProjectWorkspaceInternalHref field within the Reporting database. Once that’s done, we can return any value linked to that project record for all of your filtering or field population needs. 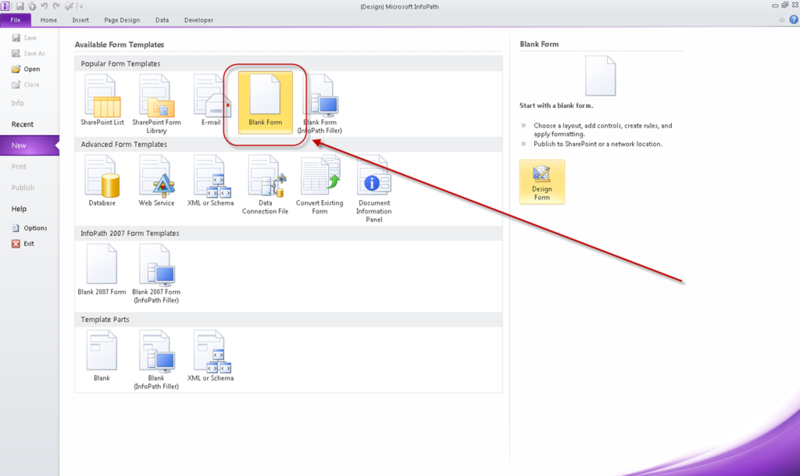 You’ll need to create a Form library on the workspace, but can share the same connection string we created in yesterday’s post. I’m not sure if you can share a single form across workspaces – but I bet it’s possible, and if so, that would ease some of the administrative effort around this solution. I created a TempURL field. 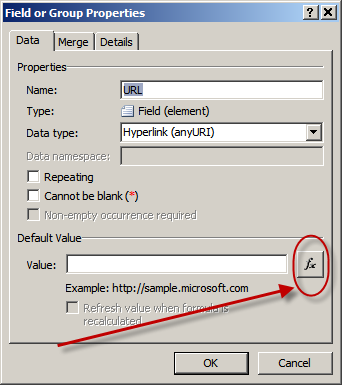 Instead of relying on the SharePoint Query String Filter to populate it, I just set the value to default to the site URL. (Which in theory, I probably could have done to pull the ProjUID from the PDP URL as well). From there, it’s just a matter of taking the same approach as in yesterday’s post. Run the query, copy the results into a custom field, and leverage that custom field for all new Webpart connections. In this post, we’ll take that InfoPath form we created in the last post, add it to a PDP, and link it to a PerformancePoint report to create an automatically filtered project dashboard. For what it’s worth, I know it kind of sounds complicated, but after you’ve done it a couple of times, it really only takes a couple of minutes to create and deploy this solution. I discussed this topic in this post. 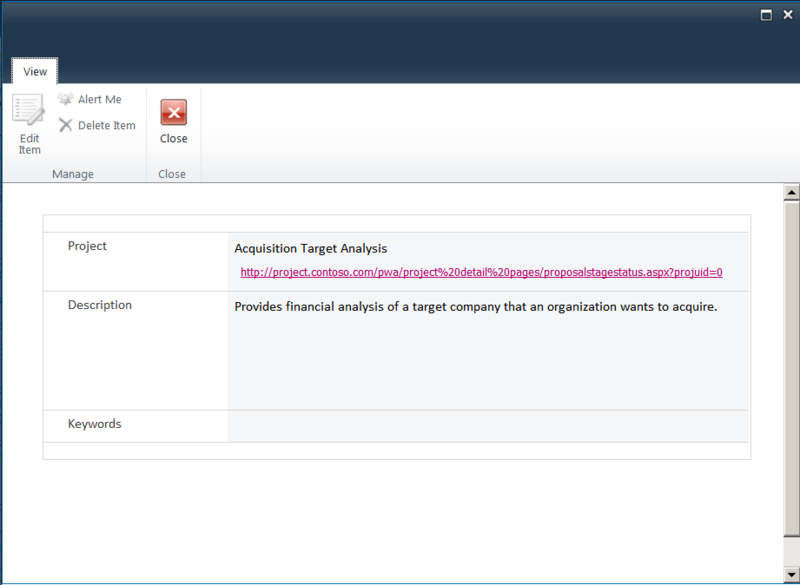 Basically, you want to create a report, using the Project List as a background element. Here’s a simple report that I created. Make sure to right click on the graph and set it to filter the empty series. That will force the graph to adjust the bar width for the project specifically. 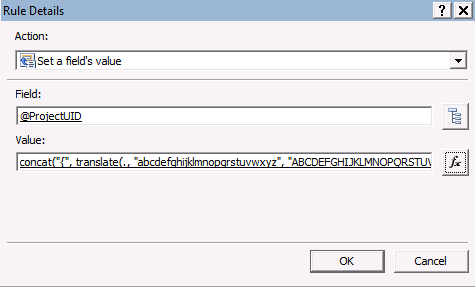 Query String Filter – to pull the ProjUID value from the URL and pass to the InfoPath form. 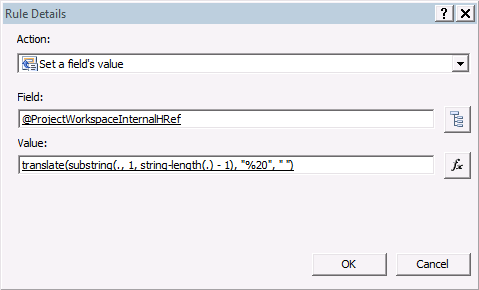 InfoPath Form – to pass the ProjUID value into SQL and return the Project Name – which is then passed into PerformancePoint. 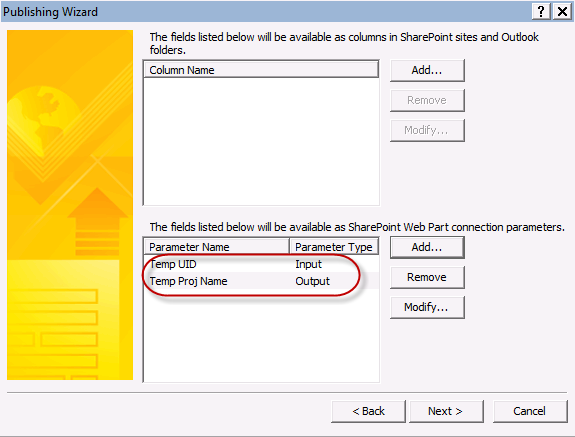 PerformancePoint – to display the data. I’ll add that to the page and configure it to use the ProjUID value. 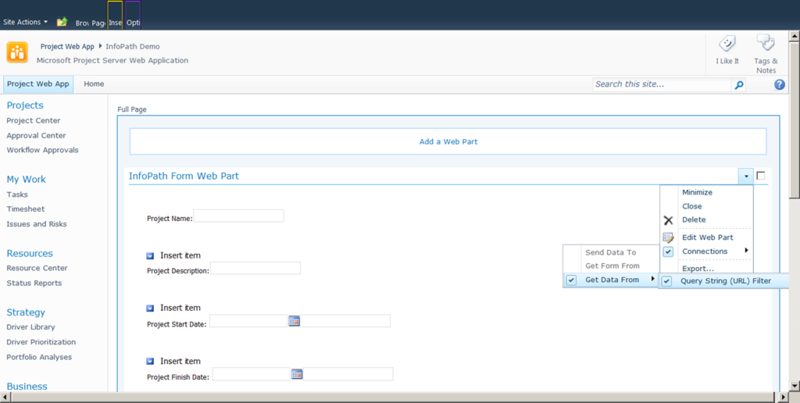 Next, add the InfoPath Form Webpart. Set the Chrome to None. Minimize the Webpart. 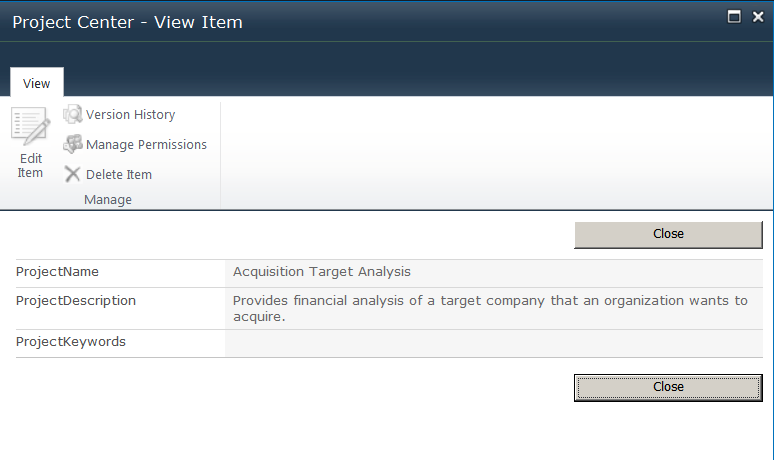 Now add the PerformancePoint Report Webpart to the page. 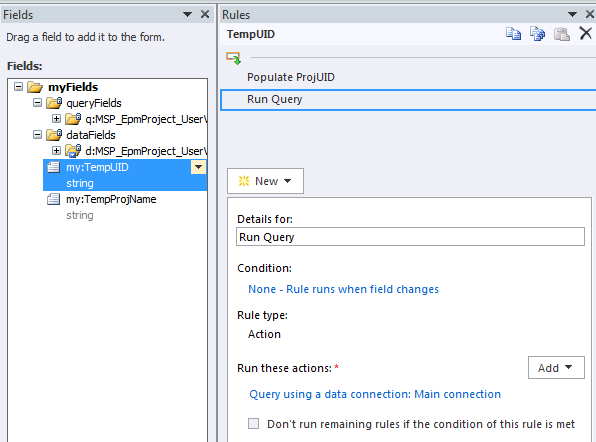 The Query String Filter will pass the ProjUID to the TempUID field in the InfoPath form. The Infopath form will pass the TemProjName field to the PerformancePoint Report. …and there you are, an automatically filtered PerformancePoint report embedded in a Project Server PDP. I guess a combination of that last post on “fun with InfoPath” and my upcoming TechEd BI presentation prompted me to get in a bit of an InfoPath/BI rut this week….or maybe it’s just the fact that I can feel productive by blogging even when I am procrastinating my presentation prep…. 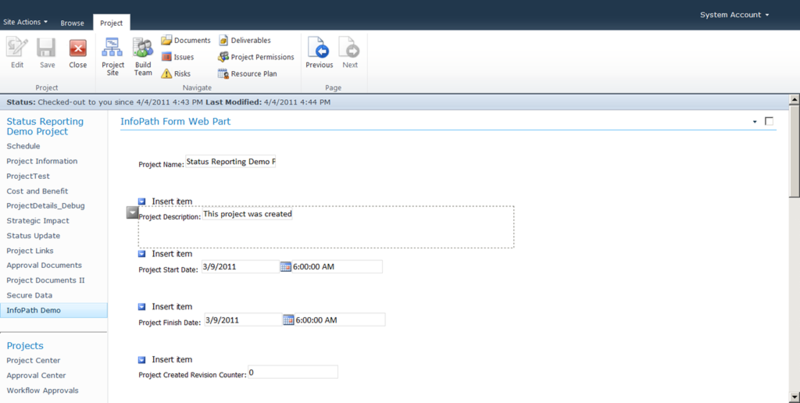 Adding a filtered project dashboard on the Project Center PDPs. More specifically, let’s examine the challenge of adding a custom project dashboard to a PDP. 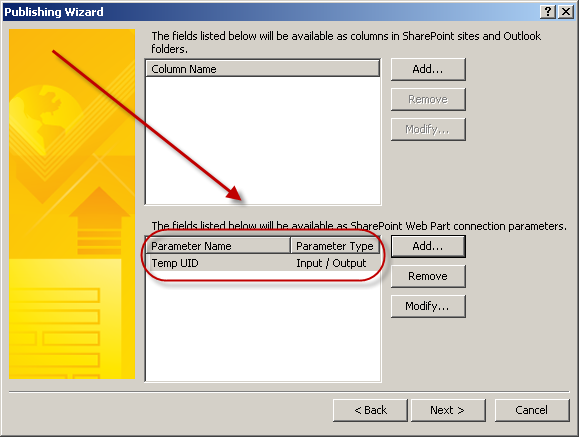 The main challenge here is that our primary key is the Project UID, which resides within the PDP URL, and can easily be consumed by the SharePoint Query Filter Webpart. Unfortunately, as PerformancePoint reports do not have the Project UID as an available dimension, we can’t filter based on it. Instead, we have to translate the Project UID from the URL into the official name of the project from the Project Server reporting database. The workspace has a similar issue, as the workspace URL typically includes the name of the project when the project was created….which may not be the current name of the project if the scheduler or project manager has changed it. Hence, in the workspace, we would need to map the URL to the official project name to get the parameters required to automatically filter a report. The InfoPath solution I’ll show you today will do that. Essentially, it runs a SQL query that takes parameters from the URL and translates them into a usable value from the SQL database. It then passes those parameters into a PerformancePoint report. Custom Webpart development – as in Alex’s example. 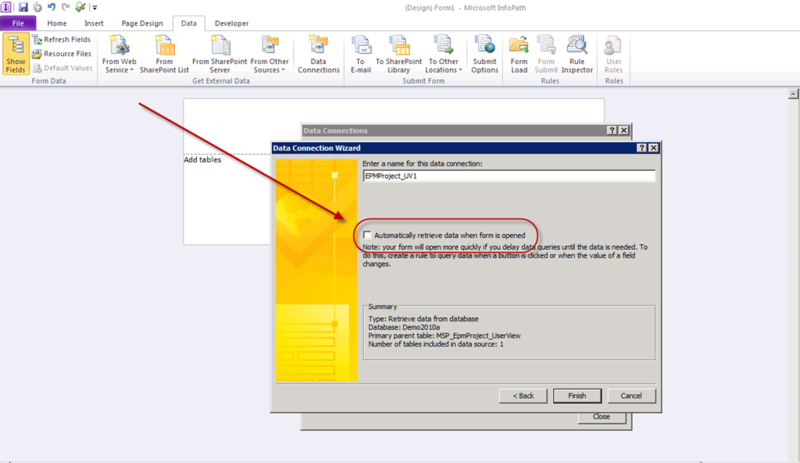 Add VBA to populate the Project UID as a custom enterprise field in Project Professional. Add that field to the OLAP cubes as a selectable dimension. 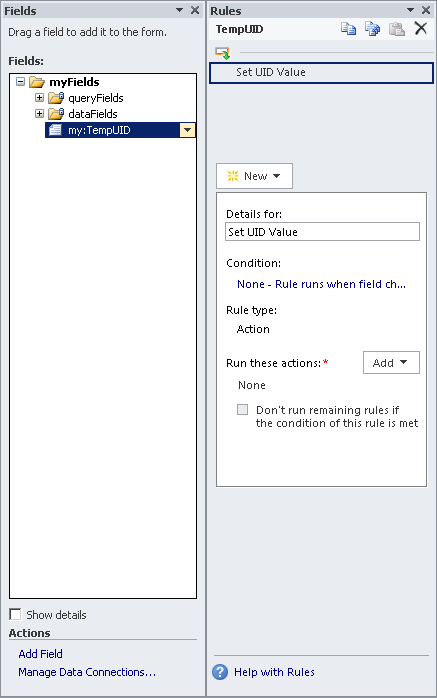 Add a custom workflow or event handler to populate the Project UID as a custom enterprise field in Project Server. Add that field to the OLAP cubes as a selectable dimension. 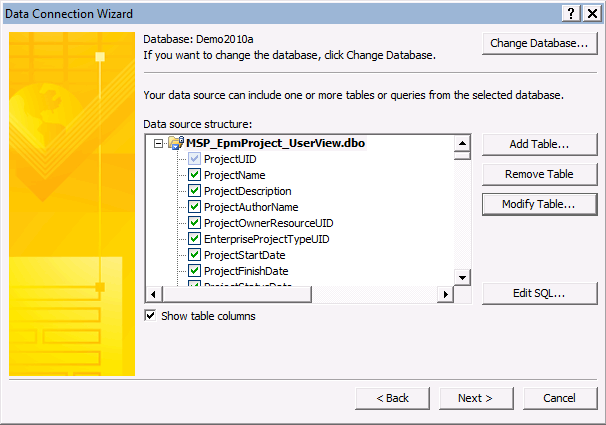 Use SSRS and configure it such that the Project UID is a reporting parameter. So yes, this technique is probably a bit contrived….but it seems to work….and it involves no code, so therefore it seems worthy of discussion. 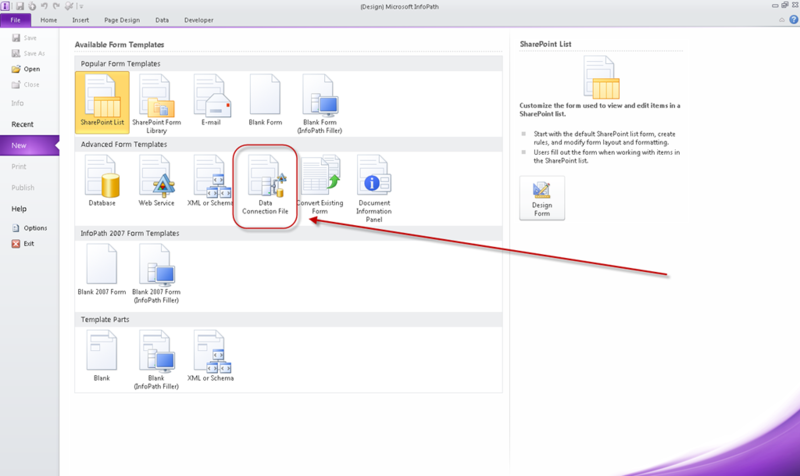 Your first step is to create the required InfoPath libraries and to ensure the InfoPath service is configured properly in Central Administration. I’ll go ahead and create a form and data connection library in the main PWA site – but set them so they don’t appear on the Quick Launch bar. For more information on getting the infrastructure set up, I’ll refer you to this post. In fact, I’d recommend that you read through that post prior to proceeding as we’ll be using many of the same techniques. Next, just like in that previous post, we create the data connection. In this case, I’ll just point the connection at the EPM_ProjectUserView and grab all of the fields. Since I documented the screenshots in that post, I skipped a number of steps to show you the screenshot at the end. 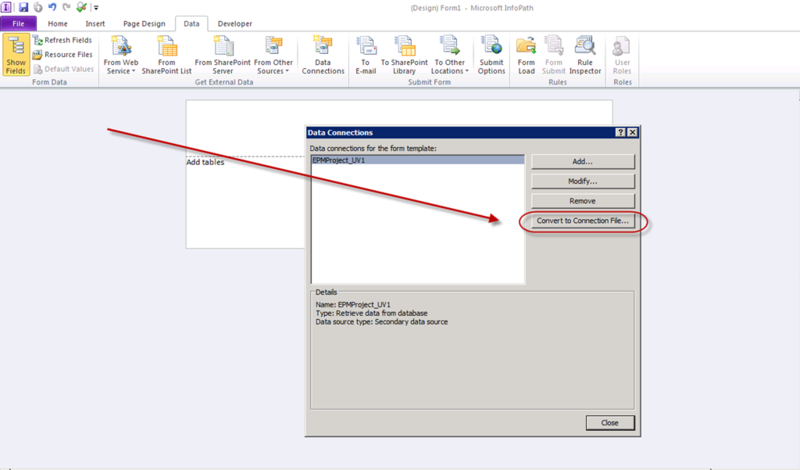 Convert the connection to a file and save it to the Connections library. 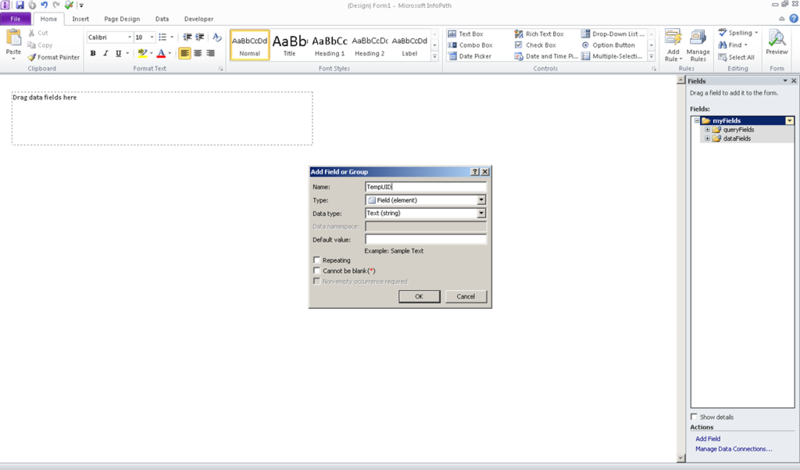 Using the connection I just posted, I’ll go ahead and create a new InfoPath form using the Data Connection template. Note that the available fields appear both as QueryFields and DataFields. If you don’t see that, go ahead and click the Show Details option at the bottom. If you still don’t see that, my guess is that you may have picked the wrong form template. The way InfoPath works – or so has been explained to me – is that we populate the query fields, trigger the query, and then based on those values will return the results in the data fields. In this case, that makes things complicated because we could, in theory, have multiple results. 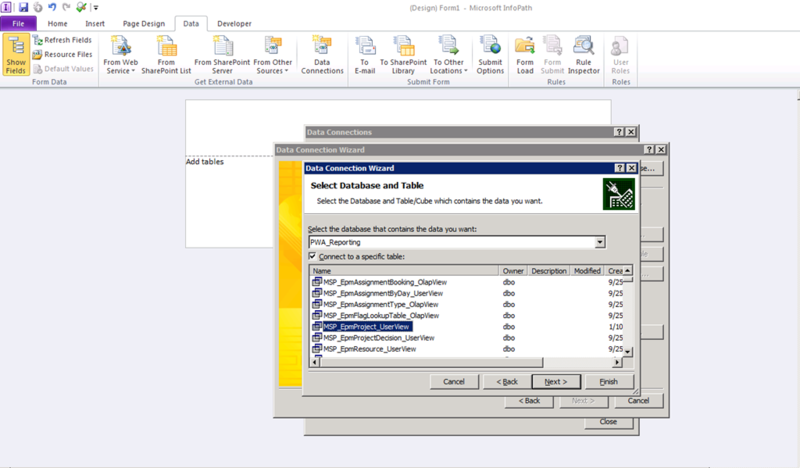 Hence, the data fields typically appear in the repeating section of the form at the bottom. Since we only ever expect a single result, we will need to implement a workaround to solve this issue. First off, I’ll simplify the form. Nobody will ever see it, so it doesn’t have to be pretty. 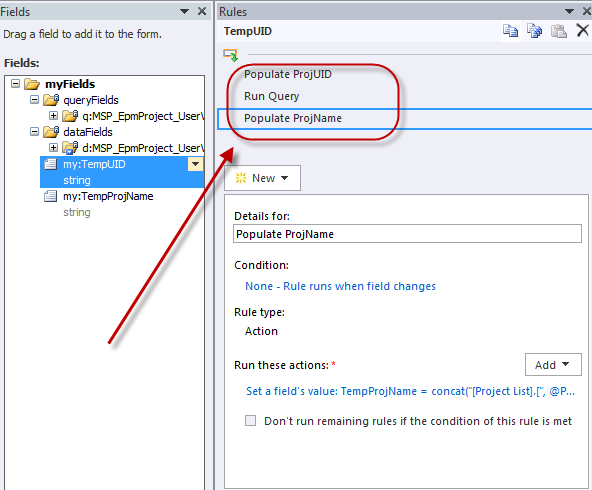 Rule #1: Convert the value entered into the TempUID field into a format that can be used in the SQL query. 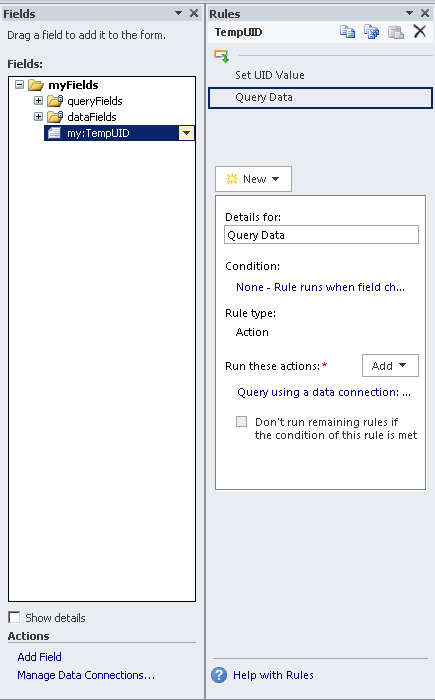 Rule #2: Run the query. 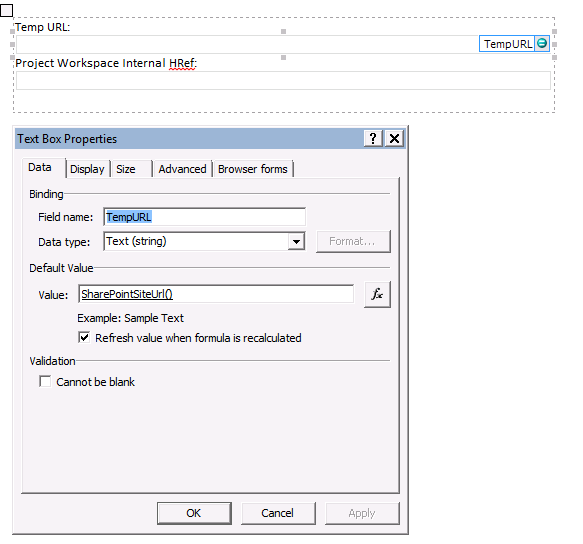 Rule #3: Take the resulting value in the ProjectName field, format appropriately, and copy into the TempProjName field. Those rules will be triggered when the TempUID field is populated. Hence, we can put all of those rules on the single field. Rule #1: Manipulate the ProjUID field. As I discussed in that other post, we need to change the value entered in the TempUID field to something more usable and copy it into the queryfield ProjectUID. In this case, we’re going to convert the value that shows up in the first repeating datafield within the InfoPath form. We need to do this for two reasons: to allow PerformancePoint to consume the data and because Webpart connections cannot use fields in repeating sections. Since PerformancePoint is looking for the project name in the format of “[Project List]. [Project Name],” we also need to convert the result set into that format. Our third rule then will run and populate the TempProjName field. The formula will look like this. You should now have these three rules in this order. 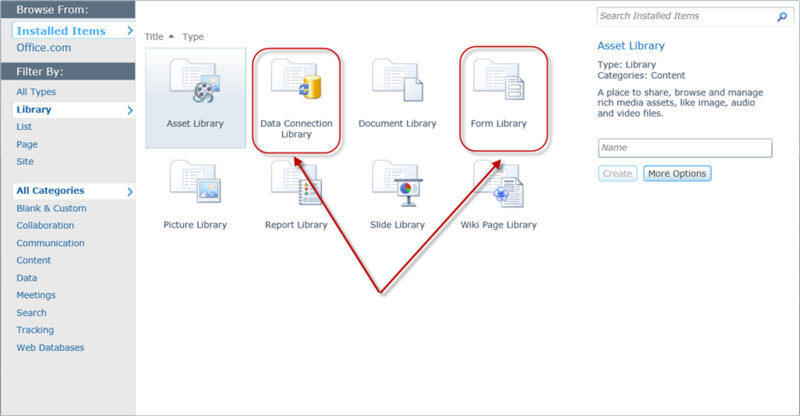 Publish the form to your Forms library. When Publishing, make sure you promote the two custom fields so that they’re available for use in Webpart connections. …and that’s the heavy lifting. Next up….creating the PerformancePoint report and adding all of the pieces onto the PDP. Update 6/15/2012: See the comment at the bottom. …well not really, but essentially I’ll be discussing how to create the functionality that does that. My self-assigned goal in this post is to enable SharePoint search to perform a text search of Project Center content – and – based on that search allow the user to navigate directly to the appropriate project record or PDP within Project Server. I will be showing you how to do this using External Content Types (ECT) and then modifying the results with InfoPath to render a dynamic URL from the text based results of the ECT. This is a request that I’ve run into a couple of times both on client sites and on the online forums. Generally, it’s driven by the fact that we have too many projects and it’s hard for someone to zero in on specifically the right project. Hence, the user would like to simply type in the name or a relevant keyword into SharePoint search and go directly to the record. As alternatives, note that Project Center does offer a custom filter option, so I could go create a onetime filter that filters on specific text in the project name. In my experience, this is a bit slow and also the filter has to be removed and reset for the next project. The other solution would be to create custom views that slice and dice the portfolio and make it easier to navigate (see this post on creating a My Projects view). The functionality I’ll show you how to build today would augment that. Let’s start off by looking at how we will navigate to the PDPs when we finish this effort. 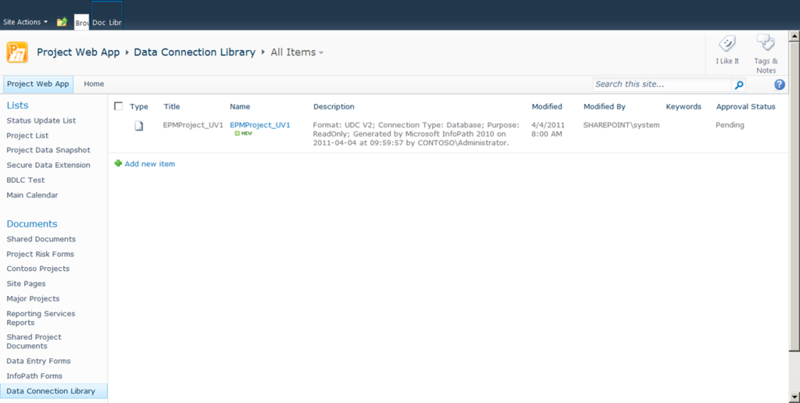 If you click on a project in Project Center, you should see a PDP such as the Project Information page. Note that I am using the default Contoso demo image so my defualt page is actually the Proposal Workflow Status page. Here’s Project Center – just to get us all on the same page…. …and the PDP….showing the current workflow status. Take a look at the URL for the PDP…. In that URL, we can see the URL of Project Server: http://project.contoso.com/pwa/project%20detail%20pages…. What we’ll do then is create an ECT and manipulate the results within InfoPath to regenerate that target URL. 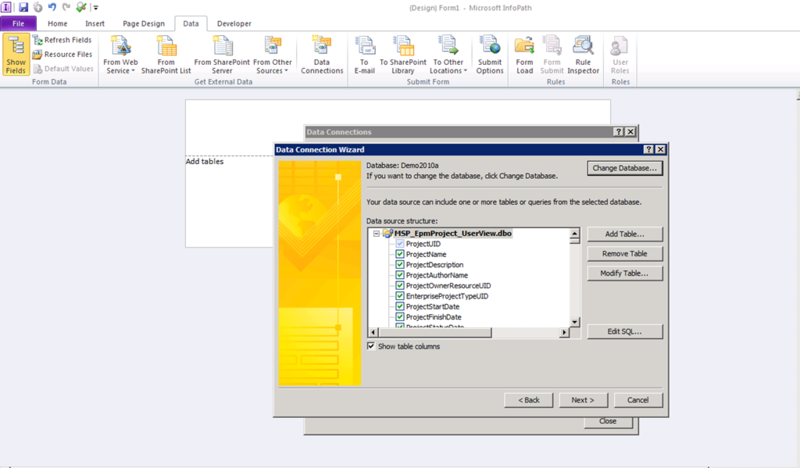 I won’t spend a whole lot of time talking about creating ECTs, but basically they’re a method of bringing external data (in this case Project Server data stored in SQL) into the SharePoint fold. To support this example, I will create an ECT with four fields: Project Name, UID, Project Description and Project Keywords. I could, in theory, pull any field I wanted, which should then be subject to the SharePoint search indexing. For more information on creating an ECT, I refer you to this post from last year. Note that we will not need a filter as part of the ReadList operation. I now create a site to throw the list on. Nobody should actually have to navigate to the site. We simply want it to be appear within the search results. 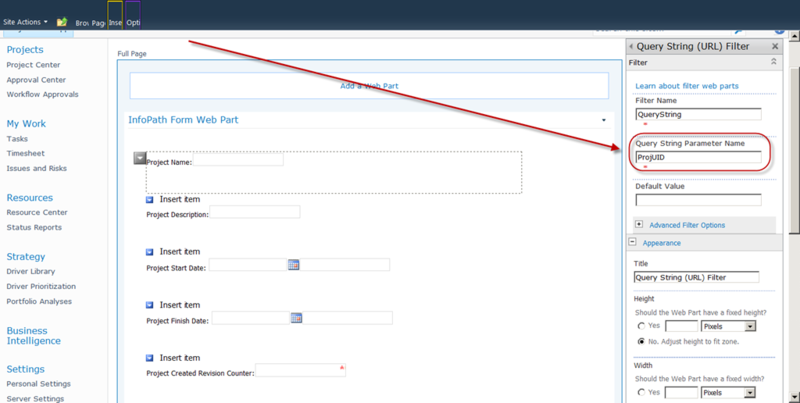 For this example, I am going to create a site called External under the BI Center. As this site will need to be modified with SharePoint Designer, we may need to move it off of the main PWA site – which has been set to preclude any SharePoint Designer edits. On this site, I create an external list and point it at the ECT we just created. So far, so good. 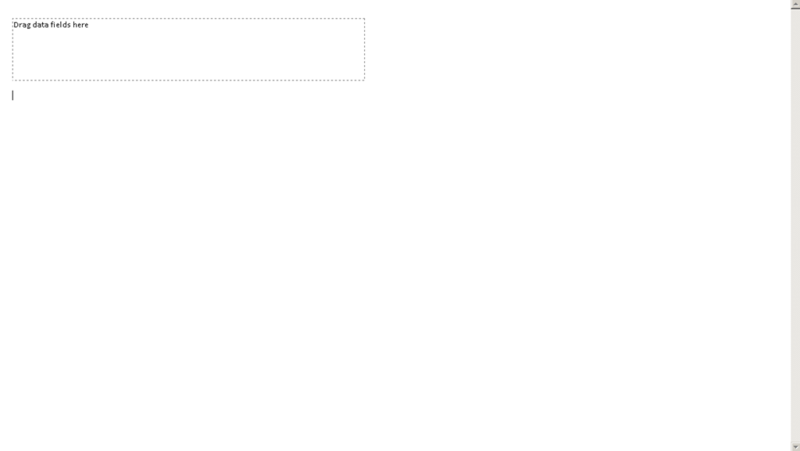 Note that you can click on the project to show the default display form. Note that we could also add metrics to this form, i.e. 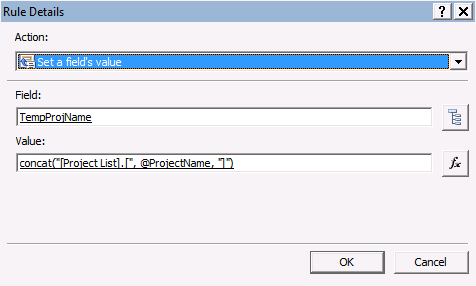 other values that typically appear within Project Center. 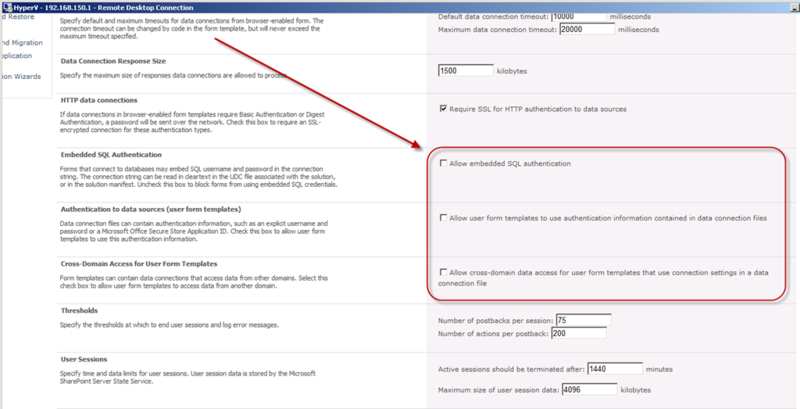 Next, we’ll modify the display form so that it will display the URL of the project record within Project Center. Modifying the default display form for external lists is a relatively simple exercise – provided you know one workaround. I was able to find this in a blog post yesterday, although unfortunately, I didn’t make a note of which one. 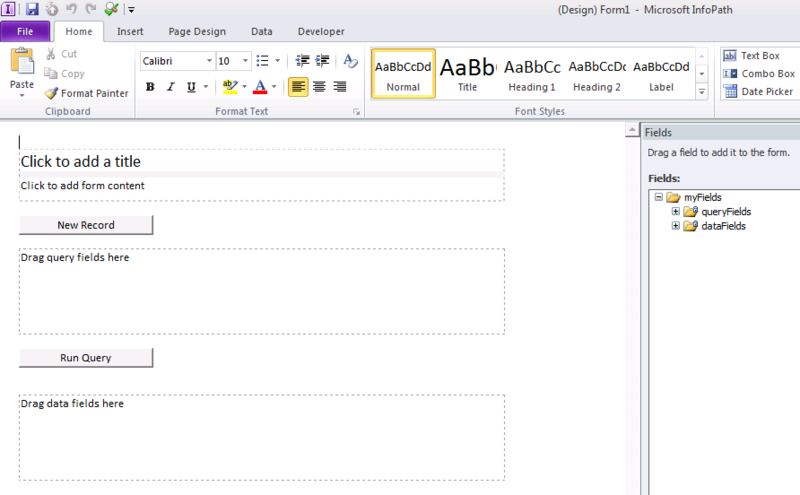 Anyway, it’s usually quite easy to modify display forms for SharePoint lists. All one has to do is click on the option in the Ribbon. Unfortunately, that option doesn’t work in external lists. 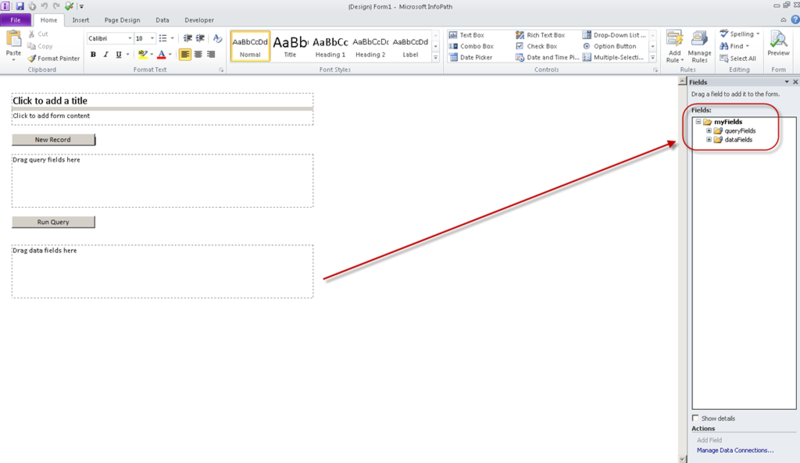 The trick here, is to click on the button in the ribbon to modify the list in SharePoint Designer. 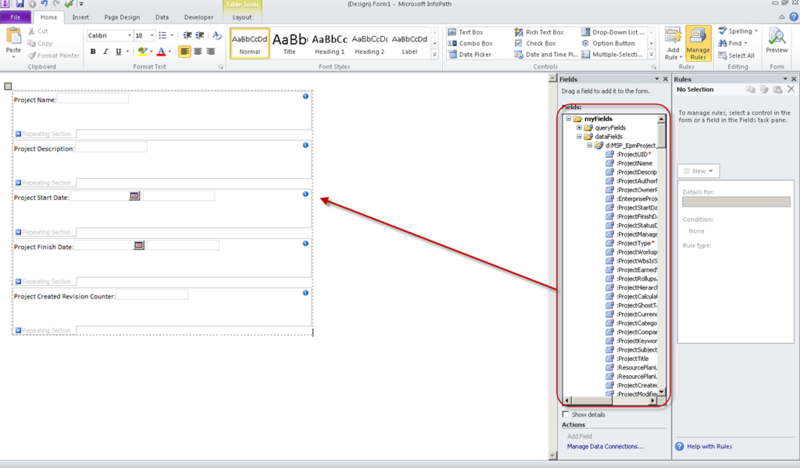 Once the list is open in SharePoint Designer, select the option to modify the form in InfoPath. Now, let’s create a new field that will store the calculated URL. 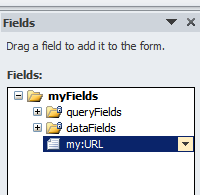 To do this, right click on MyFields in the Fields dialog box on the right and create a new field called URL. 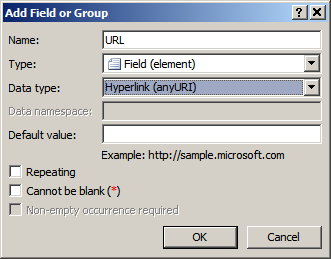 Set it as a hyperlink field type. Drag the new field over to the form. I also tidied up the form a bit by removing the UniqueID and cleaning up some of the label names. I also converted the Description text box to a multiline display. Now right click on the newly created field. We’re going to modify the default value to display the appropriate URL. Select the Properties option, then the button to edit the default calculation. Hit Ok, and publish the form back up into the InfoPath list. You may have to save the template somewhere prior to publishing. It doesn’t matter where you save it. 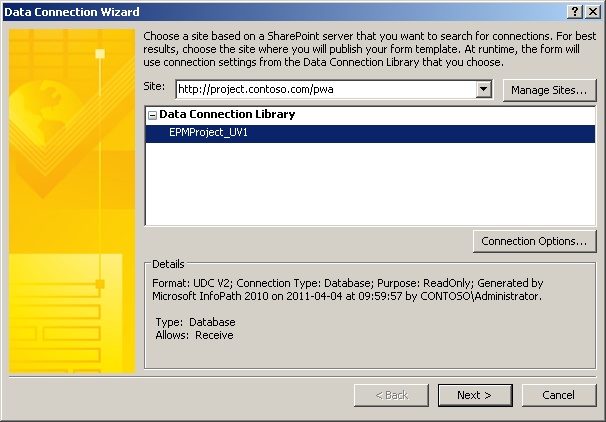 Click on the URL to confirm it navigates back to the appropriate place in Project Center. You now have an extended version of the Project Center navigation structure accessible via enterprise search that allows users to easily find projects. You may want to investigate reconfiguring your search and perhaps adding a custom scope to hit the external list, but that’s a topic for another blog.